Maitreya | Lipstick & Poison. New @ Avanti – Crave Tops and Wrecked Leggings! 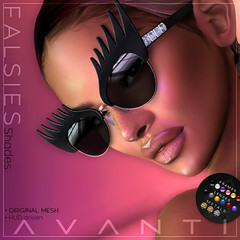 Now available at Avanti Mainstore!! • Includes system layers AND appliers for Physique, Maitreya Lara, Belleza Venus and OMEGA! The OMEGA applier will work on KL Lena, Wowmeh, Tango, and much more! • Includes Black AND White version! The OMEGA applier will work on KL Lena, Wowmeh, Azz, and more! 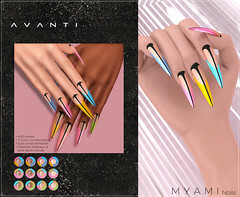 New @ Avanti – Behexed Lingerie @ anyBODY!! Now at January’s round of anyBODY! • Includes system layers AND appliers for Physique and OMEGA. The OMEGA applier will work on Belleza, Maitreya, Lena, Wowmeh, Tango and Azz, and much more!